THE early Dodge City boomers never cut the cloth scant when fitting the garment for general utility. They had no narrow vision of the prospect, and the perspective appeared the same width at both ends. As early as 1885 Dodge City was mentioned in the "Larned Optic" as destined to be a railroad center, which prophecy modern times has seen well fulfilled; and it was continually spoken of as a future metropolis, which surmise is still a healthy inspiration, gradually ripening to fulfillment. Electric lights illuminated the vision of the mind as well as the eyes, of the early boomer; and when the oldtimer set about promoting an enterprise, he had the consciousness of success. If the thing did not succeed at the time, it was the incentive for the revival of the scheme at a later date. So, with her citizens imbued with such a spirit, and with the impetus given by the prodigious business activities of the previous ten years, it is not strange that the beginning of the year 1886, saw Dodge City becoming modernized. Street grades had been established, with a view to future curbing and paving; a Board of Trade was organized in April, 1886, and was conducted with all the grave formality of later times and older communities, and with the same earnestness in promoting enterprises; about the same time, the first electric light company was organized, and also a telephone company, though the latter did not fully succeed in working out all its plans till some years later. Free mail delivery was promised from Washington, as soon as the local post office receipts reached ten thousand dollars yearly, but this promise did not materialize till the spring of 1910, twenty-four years after it was given. In this same year (1886), a waterworks system was also installed, and was first tested in the latter part of January, 1887. The "Globe" says: "There were six hose attached to six hydrants, in different parts of the city, all throwing water at the same time. The hose was three inches in diameter, and the nozzle one inch. At the hydrants in the south part of the city, it is estimated that streams, ranging from eighty to one hundred feet high, were thrown; while on the hills north, the power was not so great, the streams reaching a height of only fifty or sixty feet. The water was kept on for twenty minutes, and the people were well satisfied with the test. With this excellent system of waterworks, and with our three hose companies and hook and ladder company, which are in constant training, Dodge City can defy the fire fiend, in the future." Dodge had cause to feel pride and security in her new fire fighting equipment, as she had experienced two disastrous fires before the establishment of the waterworks system. The first of these fires occurred in January, 1885, and it almost totally destroyed the whole block on Front street, between Second and Third avenues. The buildings were mostly frame, but a small brick building, on the west of the post office, was the means of checking the flames. The loss was estimated at sixty thousand dollars, on which the insurance was twenty-five thousand. curing at seven in the evening, gave opportunity to save much inside property; but, owing to inadequate means of putting out fires, the entire block was soon consumed. As the "Globe" describes it: "Ladders were soon run up to the roof of the Globe building; and just as many men as could get around to work, started in, passing buckets of water, wetting blankets and spreading them on the roof and keeping them wet, while others kept the roof well covered with salt. At each of the upstairs windows were stationed one or two men, who kept the scorching, blistering building from taking fire. It was a hard and well-fought battle with the fiery element." The damage by moving stocks from the buildings on Chestnut street, besides houses that were scorched and damaged by water, amounted to considerable. There was no wind, and the evening was quiet and damp. Such were the conditions and events leading to the establishment of facilities for fire protection. And one of Dodge City's institutions, of which she was particularly proud, was her little fire company. It was the pride of the village, and the pet of western Kansas and Colorado. Wherever our fire boys went, Wichita, Newton, Denver, Leadville, Pueblo, Colorado Springs, and Trinidad, they were feasted, wined and dined, toasted and given the place of honor; and never did they fail to bring home one of the first prizes for fast runs and all around efficiency, while their conduct away from home was an honor to our town, and always mentioned as such by the town of which they were the guests. Their trim, neat, and gentlemanly appearance was also universally remarked, and favorably commented upon. their former speed, but would way yonder surpass it, and would be taken back east and beat their former record and win many races. It was the same way with young athletes. They would come to Dodge, join our fire company, and many of them turn out even-time men; and that is why our little fire company was always to the front. Dodge was also the home of some of the speediest wild animals on earth for instance, the antelope, the little red, swift or prairie fox, the wild horse, deer, elk, and, last but not least, the jack rabbit. Perhaps speed was in the air--or climate. The close of Dodge City's first great epoch of prosperity was further marked by many projects for railroad building, most of which, however, fell through to a greater or less extent. When the Bucklin branch was built, the intended extension of the road was through Arkansas, Kansas, and Colorado; but Ford county voted one hundred thousand dollars in bonds, to aid in this enterprise, and the Bucklin branch was the limit. On September 30th, 1887, the "Globe" said arrangements had. been perfected for the grading, tieing, and laying of iron on the Arkansas, Kansas & Colorado Railroad, which was to be built, with a connection with the Rock Island at Bucklin, to Dodge City, and "which must be completed by December 31st, to earn the hundred thousand dollars in county bonds, voted to said road to aid in its construction. The president, Mr. C. D. Perry, has just returned from the East, where he arranged for all necessary material, and graders have gone to work." The Wichita & Western was looked for-it was always an ignis fatuus in railroad projects-but it never appeared. About this time the Montezuma railroad was considered, and was built by A. T. Soule. The road was abandoned, and the rails and ties taken up. Some traces of the old road bed are yet plain. dividuality and atmosphere from one end of the country to the other, was the famous "Cowboy Band". This band was organized with a membership of eighteen men, including drum major and color bearer. The band wore the uniform of the cowboy. A large sombrero took the place of the ordinary hat, while a blue flannel shirt was substituted for the white-bosomed shirt, and a silk scarf took the place of a neck tie. Leather leggings, supported by a cartridge belt and scabbard, a navy six-shooter, and spurs on boots completed the dress of this famous band of musicians. The "St. Louis Globe-Democrat" once printed a picture of the band, showing Professor Eastman (the director) using a six-shooter to beat the time. A reporter on the paper asked the professor what he swung that gun for, and was told it was his baton. "Is it loaded?" asked the reporter. "Yes." "What for?" "To kill the first man who strikes a false note," was the professor's reply. what city or convention they would go to next. They were loaded down with all sorts and kinds of trophies and presents, and even money was forced upon them. Colonel Hunter, president of the St. Louis stockmen's convention, and Mr. Rainwater, mayor of St. Louis, entertained the Cowboy Band handsomely; they dined them and wined them and gave them the freedom of the city, and none of them was allowed to spend a cent. At a banquet, given them by Mr. Rainwater at his private residence, one of the band, a tall, raw-boned, awkward, ungainly man, George Horter by name, when they were seated at the banquet board, took up his finger bowl and drank the water. The other boys noticed this and were embarrassed at it. Mr. Rainwater came nobly to the rescue by taking up his finger bowl, also, and drinking from it to the health of the Cowboy Band. While the band was in Topeka, they were invited to a banquet, given by the great lawyer and prince of good fellows, Captain George R. Peck, general solicitor of the Atchison, Topeka & Santa Fe Railroad. During the banquet, this same George Horter said: "'Captain Peck!' Why, nearly twenty years ago my captain was named Peck." At that, Captain Peck said: "What regiment and company?" George told him, when they both jumped up and hugged each other. Such a scene you never witnessed. They both almost wept in each other's arms. After twenty years, to be brought together in this way! It was touching, to say the least. decorated by the ladies of Dodge. Evergreen anchors, wreaths, crosses, and other emblems, with a number of fine pictures decorated the walls. Among the latter were several splendid oil paintings, the work of Mrs. Chalk Beeson. The ball was a masquerade affair. The music was furnished by the Cowboy Band, and the prompting was done by Mr. Beeson, the best in the business. The banquet was in Cox's very best style, and was a magnificent affair." The Kansas City papers reported during the exposition of 1886: "The Cowboy Band elicited words of praise from fifteen thousand visitors yesterday. This band is composed of real cowboys, not soft-handed dudes in disguise, as some had supposed before seeing them." The Cowboy Band was organized in 1881, after which time it gradually grew into prominence until it gained for itself a world-wide reputation. The first time the boys appeared in public as the Cowboy Band was in 1881, when they furnished music for the Topeka fair. In 1884 they attended the Cattlemen's National Convention at St. Louis, where they were presented with several magnificent banners as a token of the high appreciation by the people of St. Louis for the excellent music the boys furnished them. On the trip to St. Louis they also visited Chicago, St. Paul, Milwaukee, and several other important cities, and on all occasions were received by the people in a manner which showed their love for good music. In 1885 they made their second visit to St. Louis, and in 1886 visited Pueblo and Denver, where they were received even in a more royal manner than in the eastern cities. And the boys were often heard to boast of the kind treatment they received at the hands of our good neighbors of the State of Colorado. history. 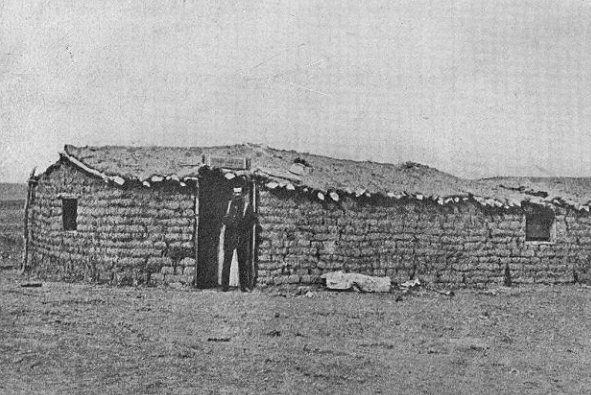 The abandonment of Fort Dodge as a military post, in June, 1882, created surprise among the Dodge City people and settlers generally. With the abandonment of the fort, the people would have no protection against Indian raids. But the troops stationed at Fort Dodge were sent, one company to Fort Reno, one company to Fort Supply, and the third company to Fort Elliott, Texas, where they could be in proximity to the Indian reservations. Fort Dodge, after its abandonment by the military, was partially demolished, many buildings being removed. However, the rebuilding and repairing took place, and the establishment of the Soldiers' Home sustained the character of the famous post. The establishment of this Home was indicated as early as the first part of 1883, a resolution having been introduced in the Kansas legislature, memorializing congress to cede the Fort Dodge military reservation for that purpose. But it was not until 1887 that the Home was established. Late in May, 1886, a sudden rush for settlement, on the Fort Dodge reservation was made, early one Monday morning, and a hundred or more claims staked off, between Sunday night at twelve o'clock and Monday morning before sunrise. No one appeared to know how the reservation happened to be thrown upon the market all of a sudden, and no one stopped to inquire, but went right along with settling and improving some portion of the reservation, regardless of what the outcome might be. The people were perfectly wild with the excitement occasioned by this mysterious move. Every available team in the city was employed to haul lumber; carpenters were in demand, who, after being hired to do a little midnight job in the way of erecting a claim house, refused to work for their employers, but, on the other hand, hired teams and went to the reservation with lumber, squatted upon a hundred and sixty acres of land, and erected a house for themselves. Now all this was wholly unwarranted on the squatters' part. The reservation had not been thrown open to settlement, and the only foothold the premature settlers gained was that of "squatters' right" which gave him the first right to purchase, in case the land was put up for sale. The reservation lands were subsequently opened to settlement, on terms prescribed by the government, by purchase and priority in settlement. The original "squatters," except in a few instances, relinquished their rights, and others proved up the claims. bath. All business houses and saloons, dance halls and gambling halls were closed. There is universal rejoicing over this, and it is felt that all measures of reform, as contemplated by the city council, will be carried out. she also lost a tremendous freight business by wagon, the buffalo hide and bone industry, and other business incident to a frontier country. Railroads, building on the south, had absorbed the freight by wagon route; and farmers, settling on the lands, further reduced the cattle trade. Under this pressure of civilization, the town staggered under the blow. Even the great Santa Fe Railroad felt the loss, for the company was put into the hands of a receiver, and the road's operating expenses were cut in two. It was the Santa Fe Railway which gave Dodge City her start in pioneer life; and with this confidence, we felt if everything else failed the road would continue to be a source of revenue to the city. Such depression, following so closely on the heels of her great affluence, was truly paralyzing. City had had so much faith in her progress and former wealth, that a calamity was unexpected; she lost sight of the fact that the unnatural extravagance of that former wealth and progress was bound to bring a reaction, sooner or later. In this depression, property went down to five and ten cents on the dollar, in value, or you could buy it for a song and sing it yourself. People would not pay taxes, and the county became possessed of much valuable real estate, while hundreds of speculators were purchasers of tax titles. Many of the business houses closed, and large numbers of residences were without tenants. Parties were invited to live in them rent free, so the insurance could be kept up. And the same depression was felt in land and cattle. Good cows sold for eight to ten dollars. Land around Dodge sold as low as fifty cents per acre. The writer's land, a tract of seven thousand acres, was sold under the hammer, at less than fifty cents per acre; and some for less than that price. the lowest ebb and everything was gone, the head of the family caught the eldest son in tears. He said to him, "My son, what are you crying for?" "My God, father!" he replied, "we have nothing left, whatever." "That is so, my son; but cheer up!" the father said: "Don't you see? we are at the foot of the ladder and we can go no further down; so we are bound to climb." Thus it was with Dodge City. She was at the very foot of the ladder, and was bound to climb; and so she did, after she started-slow, at first, but after we caught our second wind, then by leaps and bounds. We commenced to go up. Our wheat which had been selling for 40 cents per bushel went up to 60 cents; our seasons began to improve, and our farmers take fresh heart and put in a larger acreage of wheat and other crops; and cattle began to go way up. Our people sold their wheat and invested in cattle; and sold their increase in cattle and bought cheap lands; and so it went, until our country got to be the third largest wheat county, two or three million bushels each year. In the harvest of 1912, Ford county was second in Kansas, in wheat production. With the proceeds from their wheat, farmers bought more land and erected business houses in Dodge City. And now Dodge can boast of the second finest courthouse, if not the finest in the state, a handsome city hall, a great system of waterworks and electric lights in splendid buildings, while our jail is a modern building, and our schools and magnificent churches are second to none. Out of a great conflict rises a period of prosperity. To have gone through this endurance of adversity, equipped the people with courage and a sense of stability and prudence, which not only gives them caution, but nerve, in making Dodge City the commercial city of western Kansas. 1913, must be given, or our subject will fall short of receiving complete justice. A marked change from the feverish commotion of its first great boom, or the terrible stagnation and desolation of its time of depression, is apparent. The happy medium, in its perfection, has been struck by the town, at last. It is now a busy, bustling, city of 5,000 people, all push and energy, building up and, reaching out and making every other sort of steady progress toward development and improvement, socially, financially, and esthetically, without any wild clamor about it. Nor is this general progress dependent upon any transient traffic or local condition, as was the first great era of prosperity. It is founded on the broader, firmer foundation of the development of territory and the natural pressure of modern civilization, and must, in the very nature of things, continue indefinitely and be permanent, with nothing mushroom like in its nature. The change is great and keenly apparent to any observer of recent years; how infinitely greater, then, it must be, and how much more apparent to us who have watched the progress of Dodge, from its very beginning. fine automobile road alongside; even the river shows change, its channel being narrowed and volume diminished by its contribution to irrigation projects above Dodge City, but this slight defection is more than repaid by the additional verdure and bloom and wealth produced by the stolen waters. Though enormous crops of wheat and alfalfa are raised, without artificial aid, and the bulk of these staples are produced without it, irrigation is quite common in the vicinity of Dodge City. Many of the irrigation plants are private property, consisting, mainly, of deep wells, sunk to tap the underflow of the river, and fitted with pumps to bring the water to the surface. This underflow is practically inexhaustible, and the amount of water a farmer wishes to use need be limited only by the number of wells he is able to put down. In contrast to these small systems, is the largest irrigation project in Dodge City's neighborhood, the great Eureka Ditch. This enterprise was first conceived by the Gilbert brothers, John and George, two of the most enterprising and go-ahead citizens that ever struck this or any other country; and they were backed, financially, by the great "Hop Bitters" man, Mr. A. T. Soule, of Rochester, New York, who was also the founder of our big college. 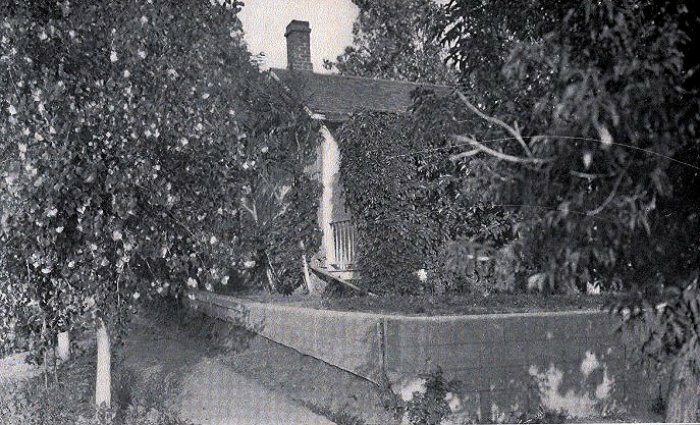 By the side of the river is Wright Park, which it was the pleasure of the writer to donate to the city, in 1897, and which, in 1880, was a piece of land newly set with young trees. It is now a large grove of magnificent trees, the only indication of their not being natural forest being the somewhat regular manner in which they stand. fested on many occasions, but in none, will be surpassed that of the park donation, which will be a living monument to his memory. The only reservation Mr. Wright made, in donating the park, was that it was to be called, 'Wright Park,' always. 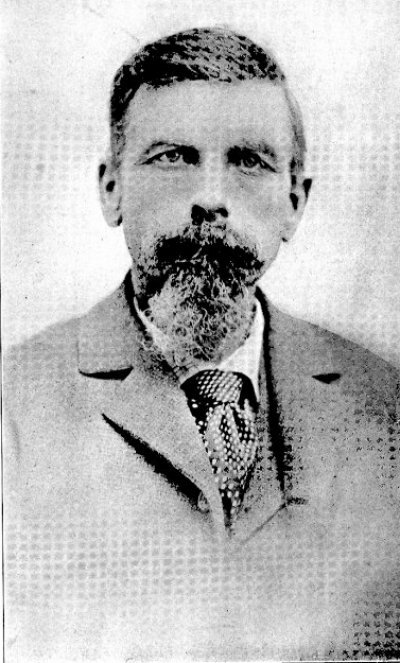 Mr. Wright also donated thirteen acres of land where the Harvey eating house stands, to the railroad company, on condition that a park be established; and also that citizens of Dodge City should be charged only fifty cents a meal. But the latter agreement was carried out for a short time only; and the laying out and cultivation of a park is still deferred-now nearly seventeen years having elapsed." The changes and growth in Wright Park is duplicated in many other institutions of Dodge City. Everywhere, brick, stone, and concrete supplant the frame structures of former days. And even good brick and stone structures of earlier times, have been replaced by others of more elegant quality or design. An example is the courthouse which, first built of brick and stone, was recently torn down and replaced by the just completed elegant structure of white stone and marble, a delight to the eye in every line and detail. The contract for the building of the city hall, a beautiful architectural specimen of brick and white stone, in the midst of spacious, well-kept grounds, was given in October, 1887, to Messrs. Sweeney and Toley, for the sum of $19,800. The work on the Methodist college was under way, at this time, upwards of thirty-seven thousand dollars being expended; but, in the time of depression, the building was discontinued, and the property finally abandoned as a college. Just recently, however, it has been bought entire by the Roman Catholics, and is now being overhauled and refitted, preparatory to the opening of a large school there at once. and stone. The handsomest, the present high school building, occupies the site of old "Boot Hill," a mute but ever present and immutable witness of how thoroughly culture and education has replaced violence and lawlessness in that locality. Roomy as are her school facilities, however, they cannot accommodate the continually growing number of Dodge City's school population, and plans are now under way for the building of a new high school building, larger, handsomer, and more strictly modern than any of the others, admirable though they certainly are. The good old Santa Fe Railroad has also redeemed itself in the public mind, and resumed its part In the upbuilding and advancement of Dodge City. Its great roundhouse and machine shops of a division are located here, a handsome station has taken the place of the boxcar and small station house of early days, an elegant "Harvey House" hotel is maintained, and a ten thousand dollar freight depot of brick and stone has just been completed by the road. This last statement, alone, is proof that the freight traffic over the Santa Fe, at Dodge City, is still highly important, while the passenger service is equally important, and perfect in appointment and convenience. town. It is directly opposite the Public Library, another handsome, modern building of brick and stone, wherein a large free library is maintained for the edification and education of the people of the city. However, among all the handsome buildings of modern Dodge City, from her perfectly appointed signal station, to her huge grain elevators, there is not one which she cherishes more highly nor of which she is more proud, than of a modest little cottage in the heart of the city.
" 'Not many houses can tell a story like mine. I am by far the oldest house in Dodge City. Mine has been a checkered career. I was first built in Abilene, then taken down and moved to Salina, and from there to Ellsworth. succeeded by John E. Tappen, and he by R. M. Wright, post-trader, and he by James Langton and his delightful sister, who was a great entertainer. "'Here is where I had a gay time, as night after night, the officers of the post congregated there, to have a good time. And they had it; never were they disappointed in this. Cards, dancing, and music were the principal programme features, ending with sumptuous repasts about midnight. There have I entertained lords, dukes, and other great men of Europe as well as America. Among those who have sat at the festive board were Generals Sherman, Sheridan, Miles, Forsythe, and Pope; and brigadiers, colonels, lieutenant-colonels, and majors too numerous to mention. Once I was graced by the president of the United States, President Hayes. That's where the West begins."